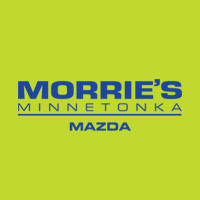 I’m a firm believer in using vehicles as they’re intended and while that normally means commuting, running errands, or simply getting from Point A to Point B, there are few things I enjoy more than putting a vehicle through its paces. 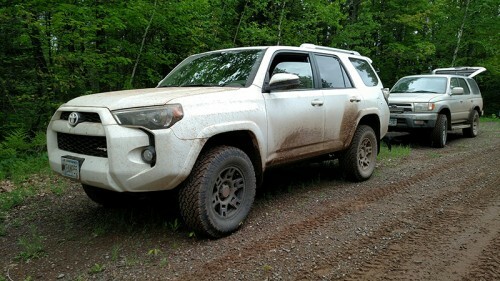 Having already driven my ’87 Porsche 944 Turbo on track this month during the Morrie’s Luxury Auto track day, I figured it was only fair that my next automotive adventure would be to take my ’99 Toyota 4Runner off-roading on one of the few designated ORV (off-road vehicle) trails in Minnesota. 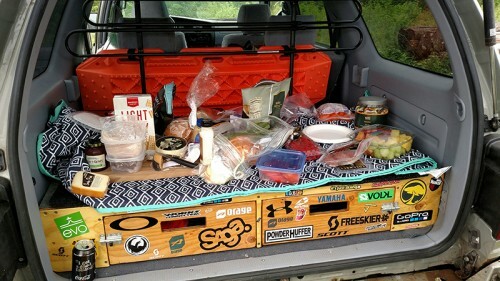 With nothing more than a map, my wife and I packed a lunch, loaded up two of our dogs, and headed about two hours north to the Gandy Dancer Trail with a buddy and his newer 4Runner. 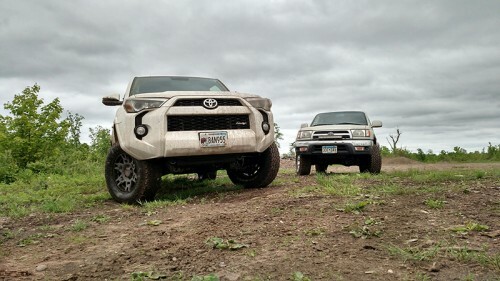 The trip was mainly to shake down my own truck and see what it was capable of but I figured it wouldn’t hurt to have a buddy along in case I got in over my head, plus I wanted to see how my 17 year old 4Runner compared to the new model. Although I have no idea how the Gandy Dancer got its name, it sounded like it’d be interesting. 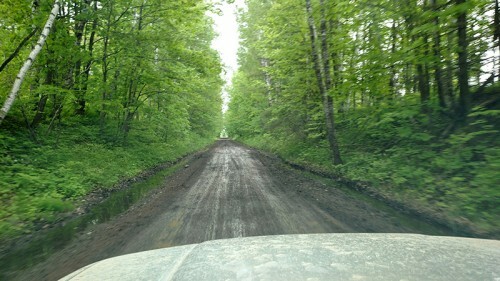 In reality, however, it ended up being about 30 miles of straight, dirt road cutting vertically through Nemadji State Forest. 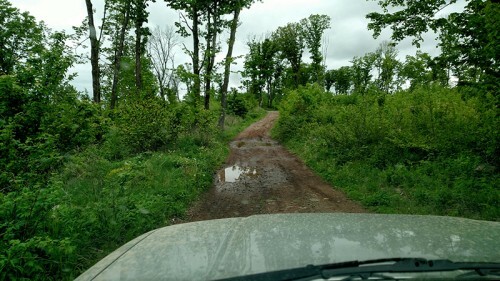 Luckily, when we got bored just driving on the same bumpy dirt road for mile after mile, it wasn’t too hard to find some interesting trails that broke off in every direction from the Gandy Dancer. Some trails were marked better than others, which might explain why we got some weird looks from the numerous ATV and dirt bike riders we saw as we drove through water crossings, over rocks and through narrow, tree-lined singletrack. Compared to driving around a race track, I’ve gotta say – this was the most fun I’ve ever had going below 20 MPH for hours on end. Six hours later, we’d both worked our way through a full tank of gas and decided to head back before it got dark. Aside from a broken exhaust hanger (which might’ve rusted itself loose before we left), both trucks fared well on the trip. 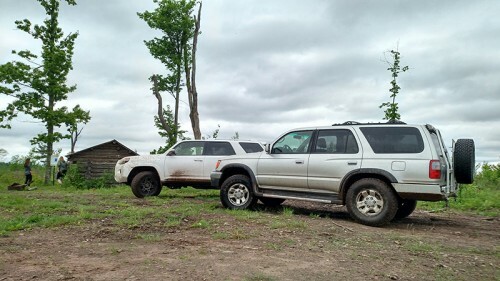 The new 4Runner is undoubtedly more comfortable and feature-rich but I got the sense that my 1999 model is at least as capable, if not more-so, due to its slightly smaller footprint. Neither of us really pushed our vehicles anywhere near their ultimate limits but I could see that changing soon. 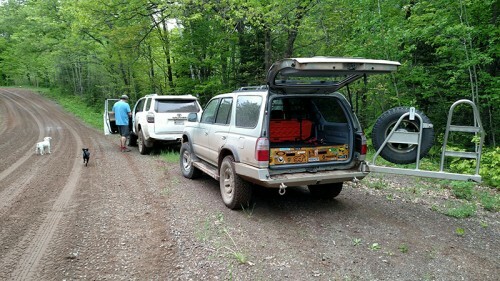 As we left the trails, we stopped at one of the state park entrances we saw on the way back to the highway and found a picnic site to have a quick bite for dinner before loading back up and making the boring drive home. 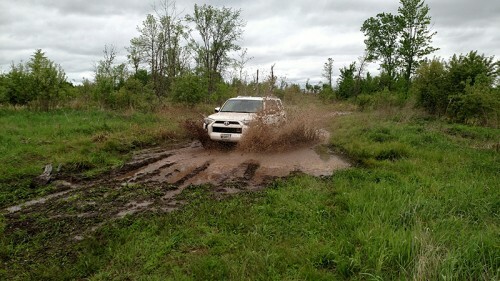 After the fun we had this weekend, we can’t wait to get back out on the road and find more trails to explore! Maybe the Trans-Wisconsin Adventure Trail will make the list this summer?